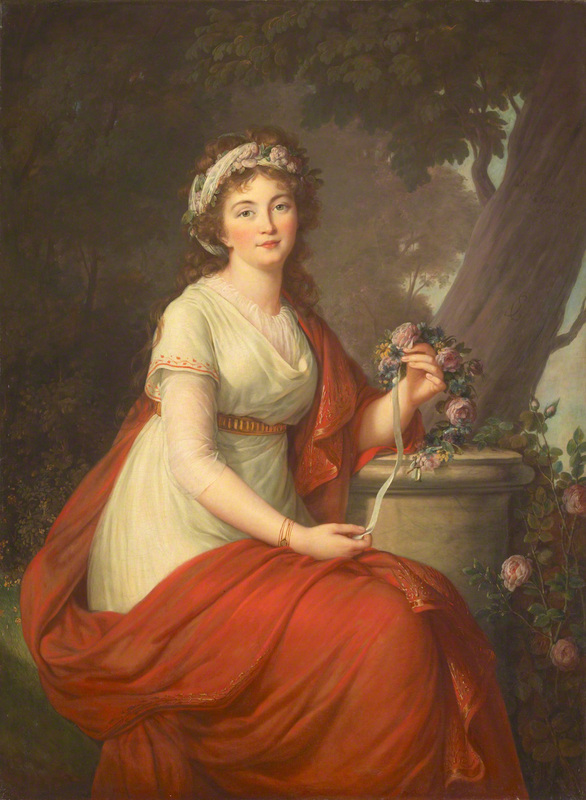 Catherine Mikhailovna Potemkin, the daughter of Princess Tatiana Vassilievna Youssoupoff (referenced in the 1982 Kimbell catalog) by her first husband, Lieutenant General Mikhail Sergueivitch Potemkin. 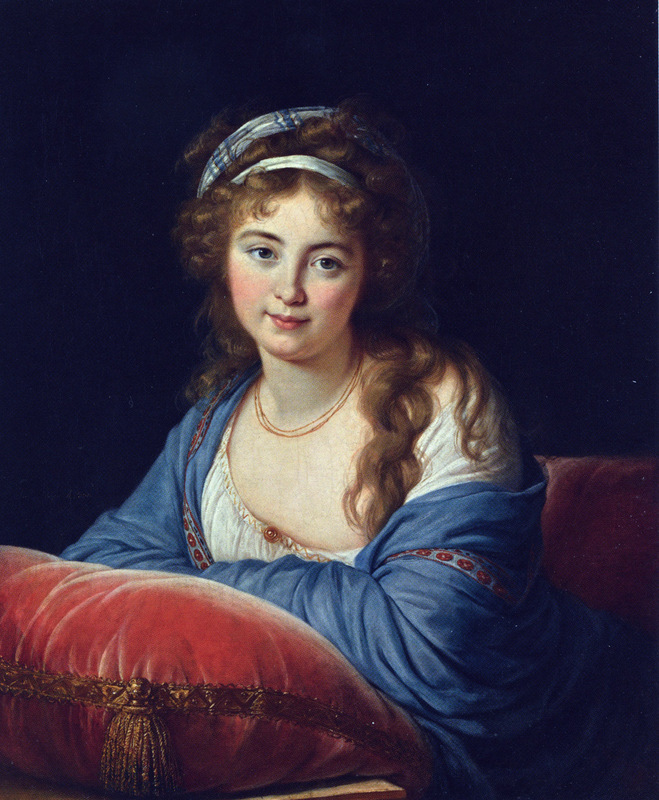 Vigée Le Brun also painted the portraits of her mother Princess Youssoupoff (art page 18), her two aunts Varvara Galitzin (art page 18) and Catherine Skavronsky (art page 37) and her step brother from her mother' second marriage, Prince Boris Nicholaevitch Youssoupoff (art page 188). 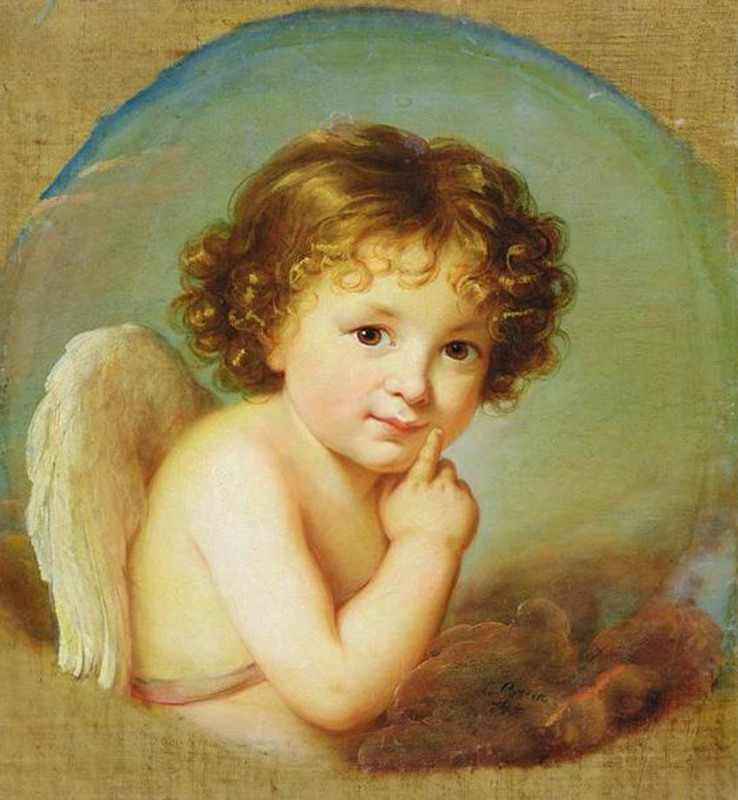 All four portraits were painted in Russia in 1797. 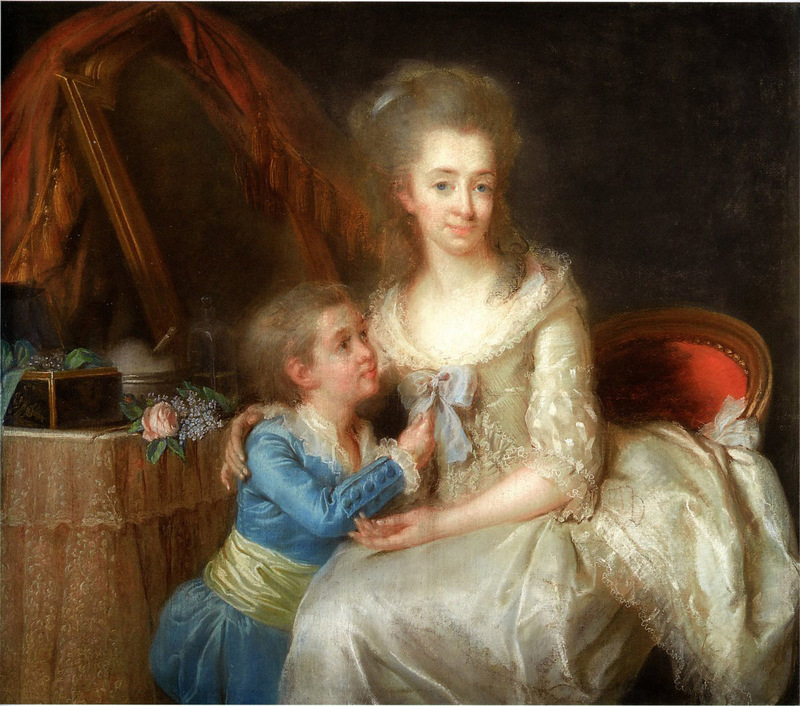 They are referenced in Vigée Le Brun's master painting list from her autobiography. "1 Daughter of Princess Isoupoff". I received this image and text from a new contributor, Bartosz Roszak in Poland on Dec 16, 2018. "Hallo I would like to inform about new painting by VLB. This is "Daughter of Princess Yousupoff". Oil on canvas, oval 65x53. Now private collection in Poland. In attachment photos. All best Bartosz Roszak" Thanks Bartosz! 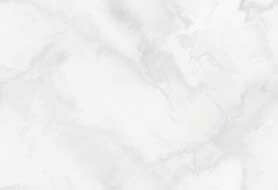 This is a great new addition to the site. 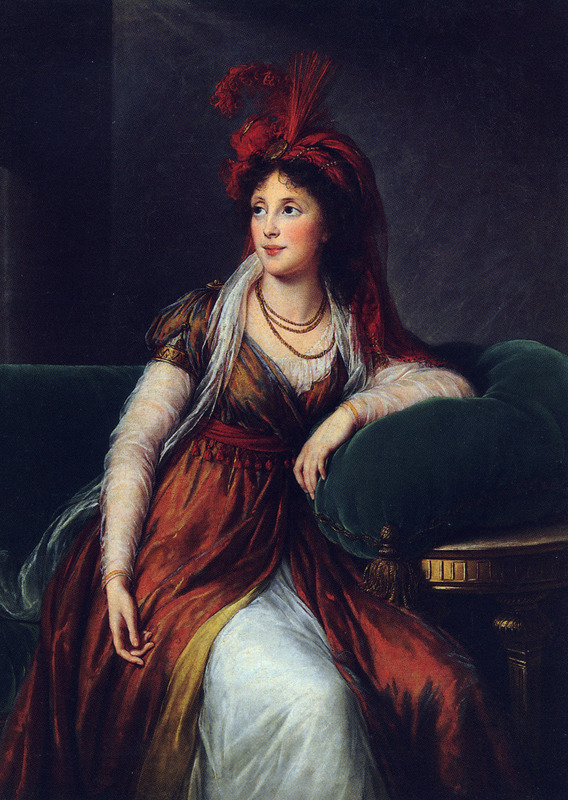 Countess Maria Franzcisca Palffy.Age 21. 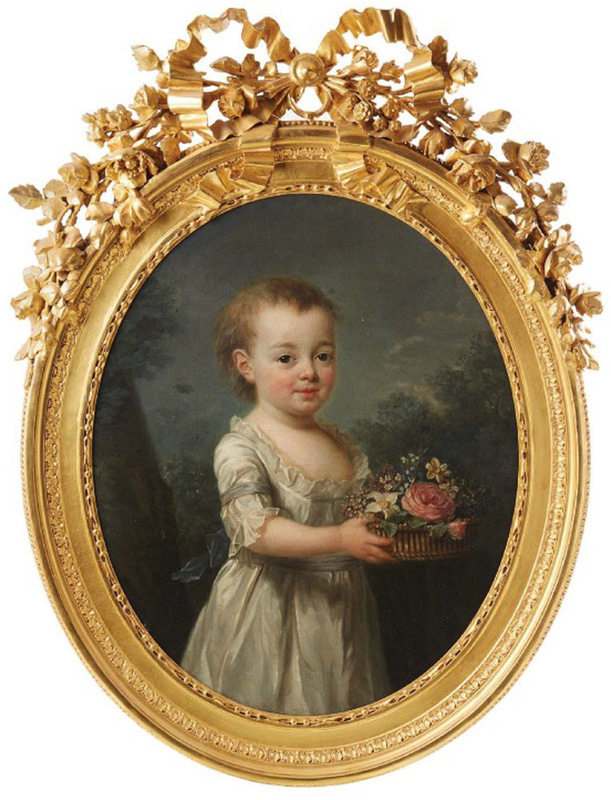 From Metz Auction: "Maria Franzciska was the second child of four children of the count Janos VIII Palffy ab Erdodi (1728- 1791) and the countesse Maria Gabriela Coloredo-Mannfeld (1741-1801). Two years after the painting, she married the count Janos Nepomuk Hunyandy von Kethely (1773-1821). She belonged to a musical family, which is showed by the score of Mozart in her hands. Her father was from an old Hungarian aristocratic family raised to the dignity of count of Saint Empire. His mother's uncle was Hieronymus von Colloredo-Mannsfeld (1732-1818), Prince-arch- bishop of Salzbourg, who employed Michael Haydn, Leopold Mozart and Wolfgang Amadeus Mozart as Master of Concert for Salzbourg's cathedral. It is in her family house, the Palffy's Palace in Vienna, that Mozart played, at six years old, a concert on the 16th of October 1762. The palace belongs to the Count Nikolaus Palffy, Hungarian Chancellor. Count Janos Nepomuk Hunyandy von Kethely and Maria had a son who would become a mining engineer and in 1807, the director of the Vienna Theater. He is well known as the protector of Beethoven, thus perpetuating the tradition of patronage and protectorate of the family towards music." View the framed portrait. 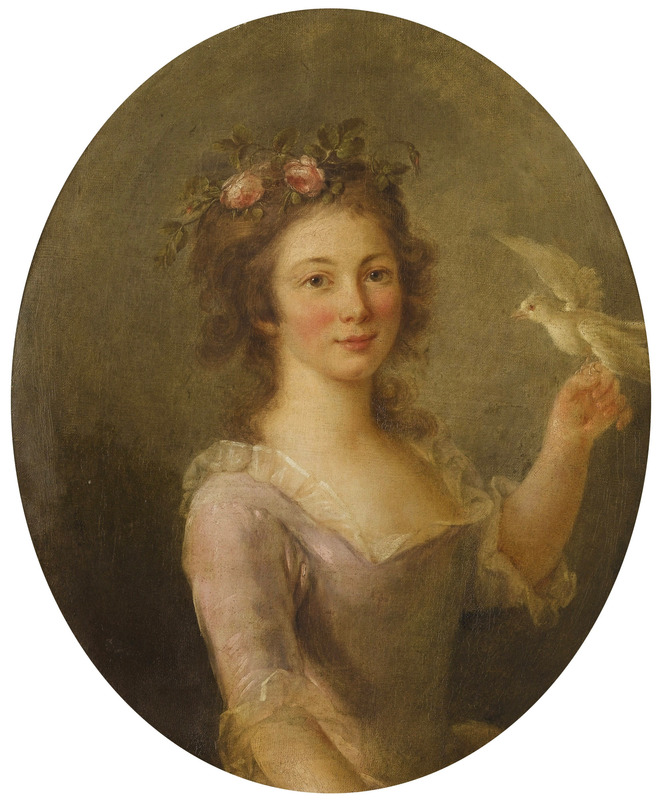 View the article about the sale in 2017 by Metz from Tamas Strakovits.The portrait which as painted in Vienna is referenced in Vigée Le Brun's master painting list from her autobiography. "1 Countess Palfi". From Angela Demutskiy and Tamas Strakovits - Nov 2018. 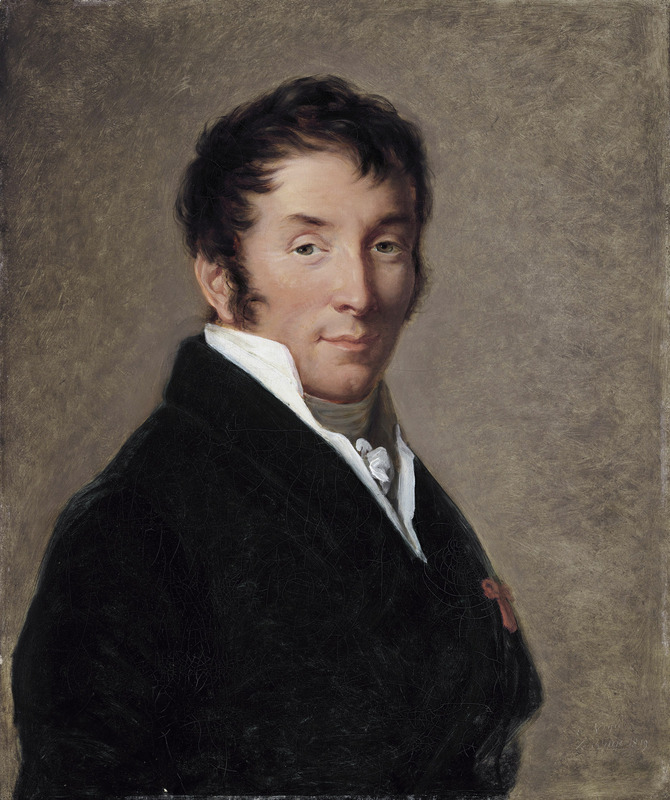 Jean Charles Sapey (1775-1857). French Politician. 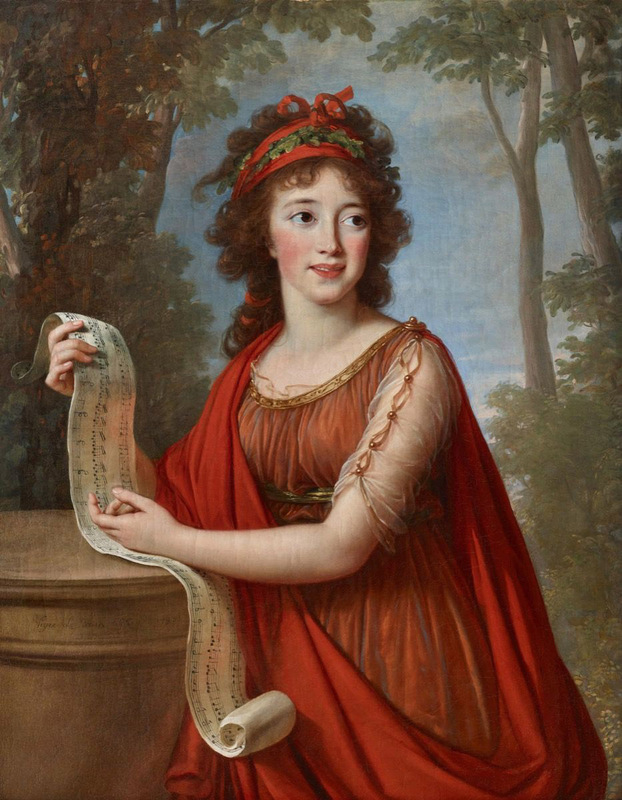 The portrait was completed in Paris and is referenced in Vigée Le Brun's master painting list from her autobiography. "1 M Sapey". Sold at Christies in Oct 2018 for $200K. From Angela Demutskiy - Nov 2018. 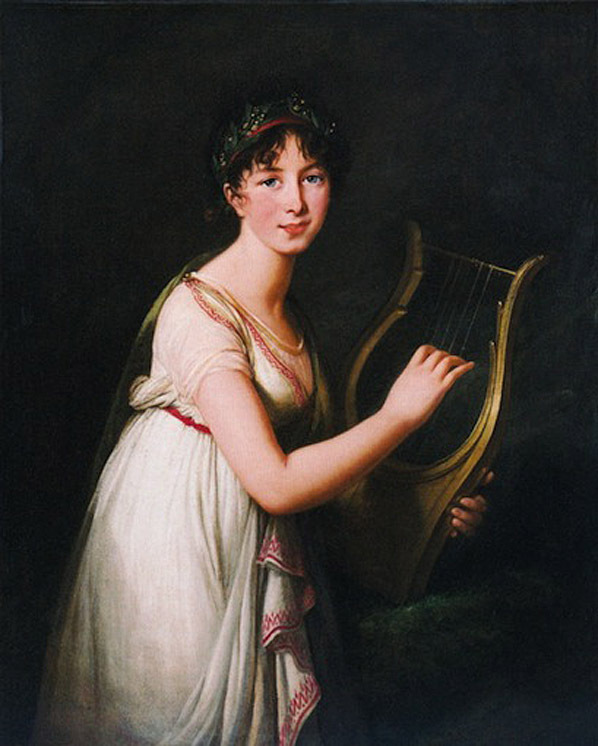 Angela Demutskiy has researched the portrait and believes the sitter could be Caroline Chinnery (3 Sep 1791-3 Apr 1812). She was a student of Viotti, an accomplished pianist, harpist and singer. Twin sister to George Robert Chinnery (1791-1825). 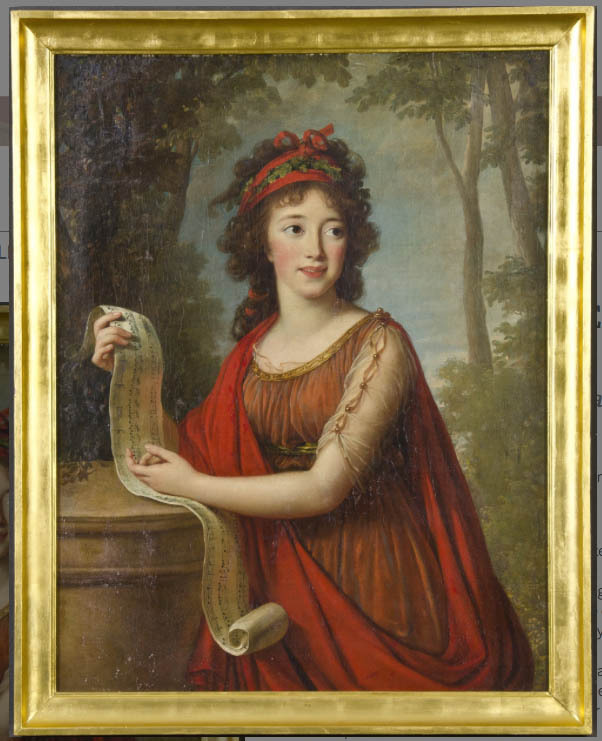 signed and dated at right "Le Brun 1777". From Tamas Strakovits - June 2018.